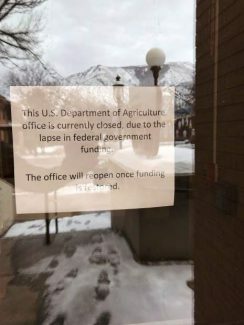 A sign on the White River National Forest supervisor's office in Glenwood Springs informs visitors the building is closed due to "the lapse in federal government funding." Some of the furloughed workers in the White River National Forest are waiting tables, cleaning houses, painting, driving buses and taking other temporary jobs to keep food on the table and pay rent or mortgage. Others are dusting off resumes and starting to apply for alternative work as the grim reality sets in that the partial government shutdown might not end soon. “I assumed based on what we experienced in the past it would be short-lived,” said Shelly Grail Braudis, a worker in the Aspen-Sopris Ranger District. But this shutdown, which starts its fifth week Saturday, is now the longest in U.S. government history. Braudis and her husband, Michael, are one of the rare dual-career households where both adults are federal government employees and now on furlough. Michael also works for the Aspen-Sopris Ranger District. Shelly said they have dipped into savings to keep their household afloat after each missed a paycheck and another looks unlikely to arrive next week. On Thursday, Michael explored picking up shifts in a transit-oriented job. Shelly has applied for a job with Visiting Angels elder care. She would like to work full time during the government shutdown, she said, and retain a reduced role once her Forest Service job resumes. Most of the 15 or so workers in the Aspen-Sopris Ranger District have stayed in touch during the furlough. The Braudises hosted a potluck dinner at their house in Glenwood Springs last week and are planning another. It’s an important time to stick together and offer each other support, Shelly said. Morale has taken a hit during the past month. Forest Service worker Kevin Warner wasted no time reaching out to friends for work as the shutdown dragged on. He was upfront about how his availability might end abruptly if he was able to return to his federal position. A friend hired him this week to perform some demolition prior to building remodels. Warner also has picked up shifts waiting tables at a Carbondale restaurant. “I’m definitely keeping busy,” he said. Warner also took up Alpine Bank’s offer of an interest-free loan to furloughed federal employees who missed a paycheck because of the shutdown. He said the bank set up a very efficient system. He filled out the paperwork earlier this week and received the loan Wednesday, the first day they were available. 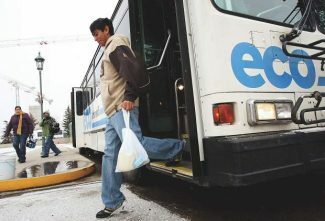 The bank’s program is indicative of how local residents have tried to help furloughed workers. “Many, many of the local folks have been supportive,” Warner said. Warner recently served for several months as the acting Aspen-Sopris District ranger before returning to his regular post with the forest supervisor’s office. He and his family own their home in Glenwood Springs. Braudis and Warner said they have colleagues who are doing all sorts of things during the shutdown. Braudis said friends of hers in New Castle are cleaning houses. Others are volunteering time with nonprofit organizations. Warner said one co-worker returned to Florida to live with family until her job resumes. Another colleague is taking classes at Colorado Mountain College. 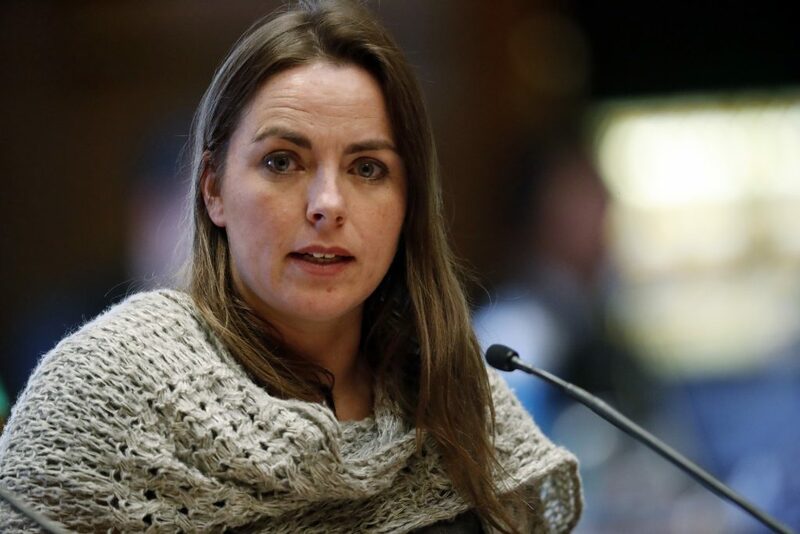 This is the first government shutdown experienced by Kate Jerman, who started her career with the Forest Service fairly recently. She was on vacation during the holidays, but the impact of the shutdown has come to roost since the first of the year. “It was the holiday bubble and that kind of burst in the last couple of weeks,” she said. She finds the uncertainty nerve-racking. She’s decided she needs to look for a temporary, alternative job. She rents an apartment in Carbondale and said her neighbors have been kind and supportive. Like Warner, she’s considering seeking an Alpine Bank loan. The local support, she said, “goes to show what an amazing community” there is in the Roaring Fork Valley. However, a few people who aren’t federal workers on furlough have underestimated the stress of the situation. It’s been anything but a vacation. She said she will take the situation one day at a time, but hopes the shutdown ends sooner than later. “I love my job and want to get back to work,” Jerman said. There are about 133 full-time workers in the White River National Forest, which sprawls over 2.3 million acres, from Rifle to Summit County and Aspen to Meeker. Of those, 112 workers are on furlough, said Forest Supervisor Scott Fitzwilliams. The remaining 21 must be available in case they are needed. There are an estimated 800,000 federal government workers nationwide affected by the shutdown. Fitzwilliams said he didn’t have a good feel for how many furloughed workers have taken other, temporary jobs. Braudis said she doesn’t envy Fitzwilliams as the head of a staff that can’t work. “He’s dealing with some employees that are panicked,” she said. Out-of-work employees received one bit of good news this week. Trump signed a bill passed by Congress that assures they will receive back pay once the stalemate is resolved. Warner said it is “disappointing” they aren’t able to perform their duties. “We’re all public servants. We would like to be providing that service,” he said.